Today early morning, Syria pro hackers group Syrian Electronic Army have hacked official twitter account of French daily newspaper ‘Le Monde’, and tweeted several incriminating tweets claiming that newspaper have supported terrorism in Syria. Initially the compromised twitter account was suspended by the twitter, but at the mean time it once again back live and have been recovered. All the tweets made by the Syrian Electronic Army have been deleted but you can see the tweets made by the hackers from the below image. Le Monde have confirmed the about the hacked and apologize for the fake and fraudulent post. Après le piratage de notre compte, nos équipes ont désormais repris la main. Nos excuses pour les messages frauduleux postés en notre nom. 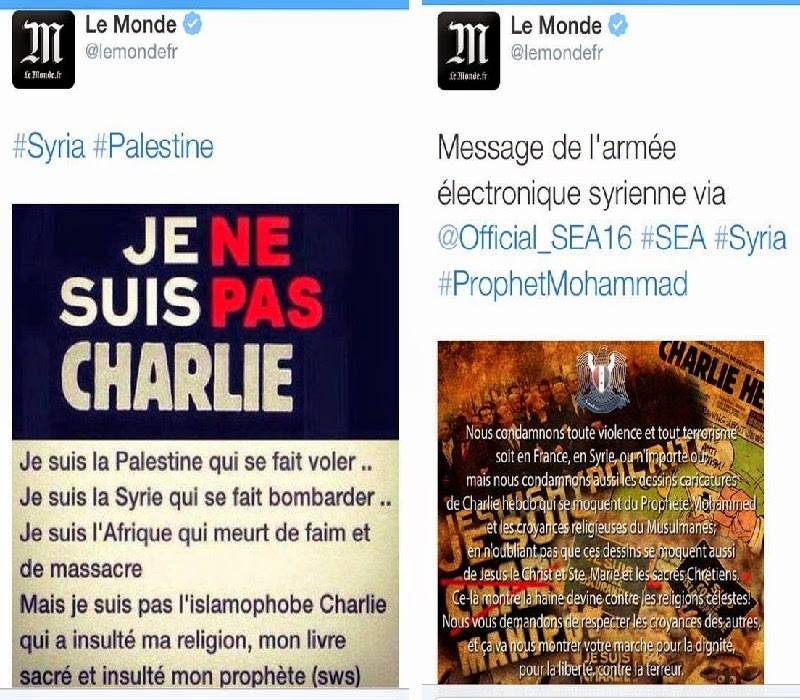 Later on, Syrian Electronic Army have also confirmed that they had hacked the twitter account of the Le Monde. Hacker groups have blamed that Le Monde and French government have supported terrorism in Syria.